Early one spring morning, Danny the caterpillar emerges from the safety of his egg. Danny soon discovers what it is like being a small caterpillar in a big world! He makes new friends while sitting on his leaf and a particularly attractive female caterpillar catches his eye! Mostly though, he eats and eats. Amazing things will happen to him as he grows, but first he must stay safe. 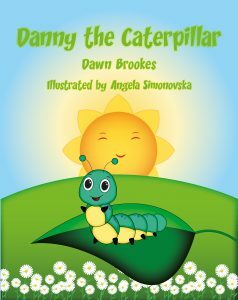 Danny the Caterpillar is a wonderful, feel good story of nature, ideal for springtime but children will enjoy it throughout the year.